An Austrian career politician who spent his entire professional life as a member of the Social Democratic Party of Austria (SPÖ) or as a Parliamentary Representative. He headed the SPÖ and served as Chancellor of Austria, then pursued a career as a consultant and lecturer, and as a member of supervisory boards of Austrian companies. He studied political science, philosophy and jurisprudence at the University of Vienna, where he earned a doctorate in political science. He was also a senior research fellow in the economic policy department of the Lower Austria Chamber of Labour. Gusenbauer was Federal leader of the SPÖ youth wing, the Socialist Youth (SJ), Vice-President of the Socialist Youth International (IUSY) and Vice-President of the Socialist International. Under his leadership in the 2002 elections, the party was the largest single party and formed a coalition government with the Austrian People's Party. After prolonged negotiations, H.E. 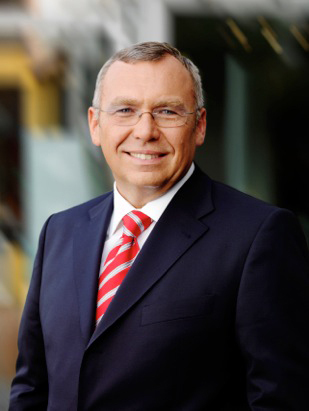 Dr. Gusenbauer became Chancellor on January 11, 2007 as the head of the coalition government. He has also served as President of the Renner Institut, president of the Austrian Institute for International Studies, president of the Austrian-Spanish Chamber of Commerce, as owner and CEO of Gusenbauer Project - an Austrian-based consulting company. He holds several different board positions, including chairman of the board of STRABAG SE - one of Europe's largest construction companies. H.E. Dr. Gusenbauer is Senator of the European Academy of Sciences and since June 2009 he has chaired the Foundation for European Progressive Studies (FEPS) “Next Left” focus group.